New Horizons—our name says it all. We provide our adult clients who have intellectual and physical disabilities a window on a broader world. In short, we offer clients like Carmen new horizon. Carmen joined the New Horizons family 15 years ago. Then, she was isolated with no friends, no job. Her family was supportive, but they knew Carmen deserved more. Good Friends. Meaningful work. And the opportunity to find her place in the world. Carmen found all three at New Horizons through her work in our sheltered workshop. 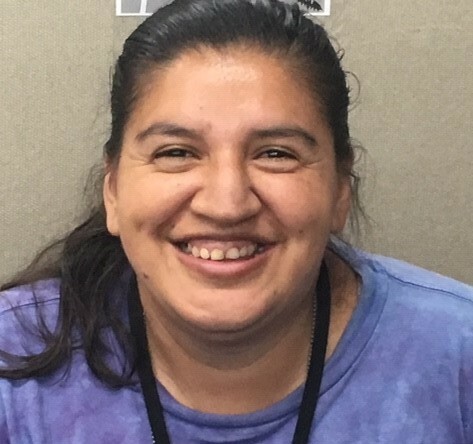 But now, like 200 other New Horizons clients, Carmen is transitioning from center-based activities and services to working in the community. Today, Carmen is working at Aldik Home, a silk flower and interior décor shop in Van Nuys. She trained several weeks at our simulated studio and was soon ready for employment. We need your help so we can help our clients make this change. Your generosity can help twice as much. Helping clients like Carmen is truly what New Horizons is all about – but none of our work would be possible without the support of people like you. 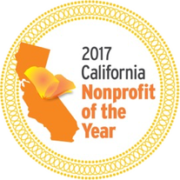 And, thanks to a generous donor, gifts made before December 31, 2018 will be matched dollar for dollar up to $50,000! Please join me in ensuring that our clients like Carmen have every opportunity to discover their own new horizons. The gift of belonging …made possible by you. 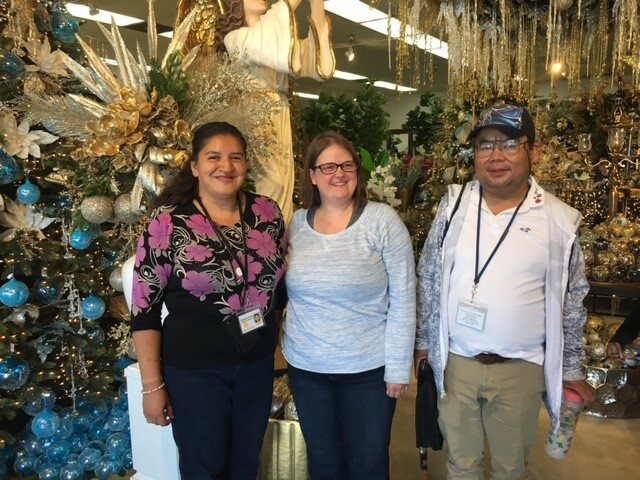 Carmen above and below with her co-workers at Aldik Home in Van Nuys, CA.